I have been enchanted by Disney since my mom took me to see Snow White at the movie theater when I was just a little girl. I was hooked! I dreamed of meeting my prince charming and riding off into the sunset, to our beautiful castle. Some years later, my husband made my fairy tale dream come true when he took me on my first Disney trip for our honeymoon. Now we are a family of Disney lovers! We take our little prince and princess on family trips to Disney World and Disneyland a few times each year. I treat each trip as if it were the trip of a life time. At Walt Disney World, the Polynesian is my favorite resort. It’s like a entering a different world every time you walk through the resort doors. My favorite moment of every trip is the second I round the corner onto Main Street USA and get my very first glimpse at Cinderella Castle. It takes my breath away every time. As much as I am in love with Walt Disney World, Disneyland in California holds my heart. The magic of Walt himself can be seen and felt all over Disneyland. It’s the first, the original—the park that Walt built. 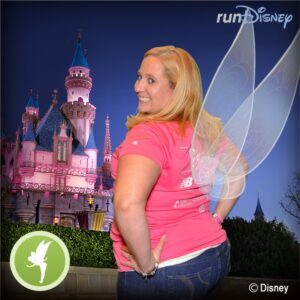 My newest Disney love has become runDisney! I ran my first half marathon in February 2012—it was the Disney Princess Half Marathon and one of my most magical Disney moments yet. I look forward to years and years of fabulous Disney vacation to come. 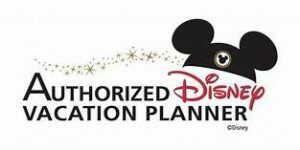 I will put the same care and detail into planning your dream vacation as I do into planning my family’s dream Disney vacations. Contact me today so we can get started! I grew up going to Disney World when I was a teenager but didn’t go back until I was a parent to my daughter. I planned a trip in 2010 to take her to see her favorite princess, Snow White and loved planning the trip so much and enjoyed the trip so much I had to plan another one soon. It wasn’t until I met my husband that we planned our next trip. In April 2012, my husband proposed to me in Cinderella’s Royal Table and we took our honeymoon in August 2012. We have been going back to Disney World every year since we started going in May 2010 and we don’t plan on stopping. I have also started to run and I will be running in my first runDisney event in February 2015 at Disney World for the Princess Half Marathon. I look forward to this journey in running and being able to do a coast to coast run one year. I look forward to year and years of fabulous vacations with my family and even doing a few cruises as well. I have helped many of my friends and family plan their dream vacations to Disney World and Disneyland that I decided to do it all the time. I recently joined Main Street Magic, LLC and I look forward to booking your magical family vacation or whatever you may be celebrating! A traveler at heart, I’ve visited over 13 countries around the world. Yet year after year, we always come back to Disney. Whether it’s a trip to the theme parks of Walt Disney World or Disneyland, the beautiful white-sand beaches of Aulani, or a Disney Cruise Line voyage to the private island of Castaway Cay; there’s always something about a Disney vacation tha t never stops being magical! As your travel agent, I will treat your vacation with the same care in planning and attention to detail as if it were my own. 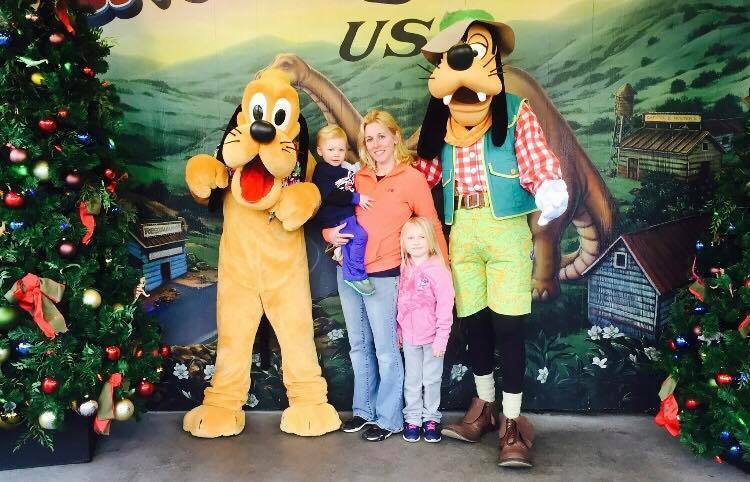 I offer years of Disney vacationing experience at both Walt Disney World and Disneyland resorts, and have been on multiple Disney Cruise Line vacations. I’ve also participated in every RunDisney race weekend at both Walt Disney World and Disneyland. From special ticketed events and tours to booking the best character dining experience for your family, I stay up to date on Disney’s latest and greatest offerings to make sure you won’t miss out on any of the magic. Whether it be a family trip with the kids, an adult getaway for two, or a RunDisney “race-cation” running through Cinderella’s Castle; I want to help you make every trip more special and memorable than the last! I’m a firm believer that vacations should never be stressful! Let me take the work out of planning for you so you can focus on what’s most important: having a great time! I have a passion for all things Disney! I have been a travel agent since 2014, joining Main Street Magic LLC in August of 2017. The joy I get from sending my clients on their DREAM vacation is unlike any other. As a lifelong resident of the East Coast, I spend my free time enjoying trails and races with my husband and four young children; Making runDisney a staple in our family vacation travels. As a family, we let adventure guide us as we have embarked on our journey to explore each of the 50 states together. Throughout our travels, Walt Disney World has always been our home-away-from-home, providing the accommodations our growing family has needed, while still being attentive to our families needs and differences. In my hands, your family’s vacation will be treated with the same love and MAGIC. As a parent and an educator, I know being prepared is more than an idea, it’s a way of life. “Adventure is out there.” Let me prepare you for where ever your next adventure will take you!